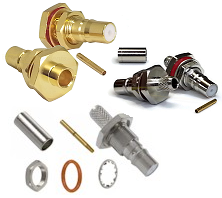 QMA Bulkhead Connectors from Field Components for both Semi-Rigid and Flexible Cables. 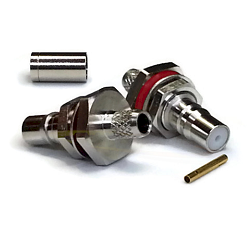 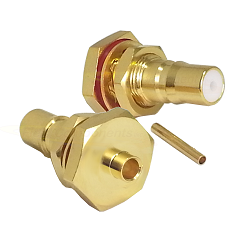 The QMA Female Connector is the quick disconnect version of the SMA connector, but uses a push-pull lock mating which makes it ideal for faster RF installantion applications. 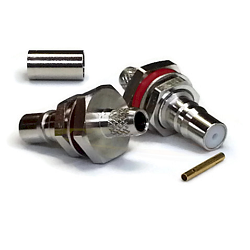 The space saving QMA Bulkhead connectors allow quicker installation and denser packaging solutions while maintaining very similar electrical performances of the SMA Connector. 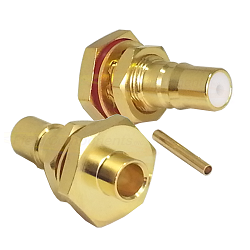 QMA female Bulkhead Connectors have a 50ohm impedance and a maximum VSWR of 1.25:1 to 6GHz while being able to rotatable 360° after installation for a better Flexibility connection.